It’s time to have your say 2015/2016! Welcome to the September issue of the BANT News. Our main focus for this issue centres around the BANT Wellbeing Guidelines, which were officially launched on the 16th September. 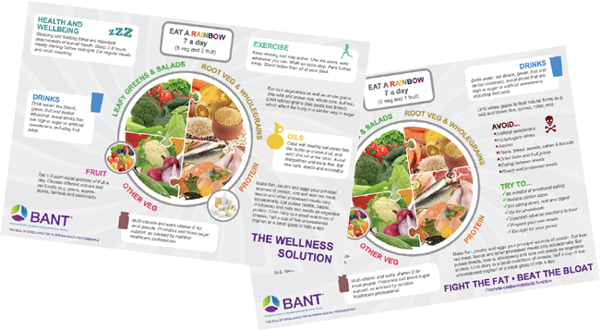 Our double-paged spread details everything you need to know in respect of the Guidelines and how they can support your Nutritional Therapy practice. Enjoy! Welcome to the September issue of the BANT News. Our main focus for this issue centres around the BANT Wellbeing Guidelines, which were officially launched on the 16th September. Our double-paged spread details everything you need to know in respect of the Guidelines and how they can support your Nutritional Therapy practice. Enjoy! Access the BANT news here. BANT has been asked to join All Party Parliamentary Group for Diabetes (APPGD), a group of Members of Parliament and Peers with a special interest in the issue of diabetes. The APPGD is one of the most active parliamentary groups in engaging with stakeholders, sharing information with Members and holding high profile events in the Houses of Parliament. With a large number of stakeholders, the Group holds regular events during parliamentary business periods, draft reports, produces a monthly newsletter and hold special meetings with relevant Ministers and organisations. Please share with everyone you think can benefit from them. The topic of the November CAM Conference will be surrounding Mind/Body Nutrition, and will discuss how practitioners can trigger the healing process from the initial consultation, before any diet, supplements, bodywork or other modalities are employed. Click here for more detailed information on how you can apply.